Who Pays for Online Credit Card Fraud? In this age of new technology, we have begun to live our lives between the online world and the real world. There are now so many ways that we can communicate with our customers, through social media, our websites and ultimately through the transactions that we make. It has never been easier to make the connections we need to keep our businesses above water; but this does come with new ways that criminals can gain access to our companies and customers details and sometimes this can leave all parties involved out of pocket. The main and most common ways that this happens is through credit cards, mainly due to the amount of sites that now accept our credit card details. Here we will look at how and who this fraud relates to and ultimately, who carries the cost. 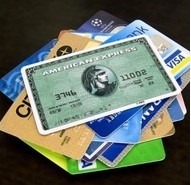 The majority of credit card fraud issues includes fraud, theft and expired cards. In the case of online fraud, currently the easiest way to commit this form of crime, many credit card processors have a zero liability policy that will return the card holders cash to them. 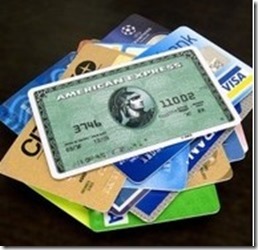 Many times the card provider will not allow the transaction to be processed, and the person making the transaction will become aware of this. This allows the bank to investigate the transaction and determine the best course of action. If a transaction is processed then this will usually leave the credit card company paying the money back to the cardholder and will be covered by their insurance; the turnaround time for reimbursement is, on average, 48 hours. There are times when credit card fraud can be attributed to the merchant, mainly for letting the crime happen on their site. This usually occurs due to a lack of onsite security during the payment process. One scenario when a merchant is most likely to be charged to foot the bill, is when it can be a proven mistake on their part. A prime example of this was a recent merchant fraud case involving Apple in the UK, was a case of a child using his parent’s credit card to pay for online games. Apple had not integrated this liability into their planning and as the parent’s card details were stored, there were no restrictions to stop the child from using it. Apple had to reimburse the full cost as it was indeed a fault of theirs. There are ways that, as a merchant, you can make sure that you are protected; the most obvious is to make sure that you have adequate SSL security on your site. This should be displayed throughout a variety of you pages and be obvious at the transaction point. This will, at least protect you if a customer’s details are stolen from your site. The bulk of online fraud transactions are now covered by the banks and credit card companies, but there may be times when the customer is just as liable as the merchant. The majority of credit card fraud cases will need to be proven by the customer and merchant in order for the creditors to make the reimbursement. If you have found fraudulent activity on your account, or one of your customers has experienced this, then it is imperative that you find out what the credit card company classes as an ‘authorized’ transaction as they can differ between companies. In essence, if you have presented your card for payment, then you could be liable for the charges that apply directly to this activity. The issues with customer liability within this arena is that there are now so many ways that you can pay for things using your card, Paypal, online, offline and many people store their bank statements on their computer. If you then allow someone to use your computer and they take your details, then you are liable – it really is as easy as that. In conclusion, we are all liable at some point to pay for the crime of credit card fraud, so we need to work together to make sure that we are all as secure as we can be.